Flippin' Fun Video Games – By the player, for the player. I have added a support page to the website. On this page, you can submit support tickets about what goes wrong with our products, including, but not limited to, this website. All you have to do is enter your name, email address, any error codes you received, and a description of what went wrong. You also have to consent to us storing your info so we can respond. If that doesn't float your boat, we also have a support text and voice channel in our official Discord server. There is a similar ticket system in place in the text channel titled "#support," along with the ability to talk directly with me and any relevant developers about the issue you're experiencing with our products in the voice channel titled "Live Support🔶"
I hope this addition will help you keep your focus on gaming! For those of you who don't know, Face My Fears, by 宇多田ヒカルHikaru Utada and Skrillex, is the official theme song for Kingdom Hearts 3 (which btw is the greatest game ever and you should totally buy it cuz it's on PS4 and XB1). There are two versions; English and Japanese. The music video for each version was made with leaked KH3 footage available on YouTube. If you happen to know any Japanese and I did something wrong with the Japanese translations and pronunciations, please forgive me as I know zero Japanese. !!! WARNING: IF YOU DO NOT WANT TO BE SPOILED, PLEASE DO NOT WATCH THE MUSIC VIDEOS AS THEY BOTH CONTAIN MAJOR SPOILERS FOR THE PLOT OF THE GAME !!! Thank you for caring about your privacy and trusting us with protecting it. It's now 2019! 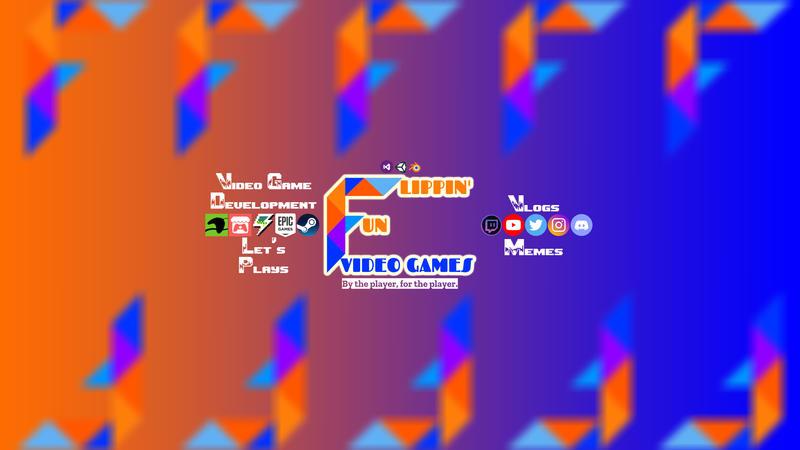 To celebrate, I have decided to completely overhaul the look of Flippin' Fun Video Games! I am very proud of how this turned out and am excited to show it off!